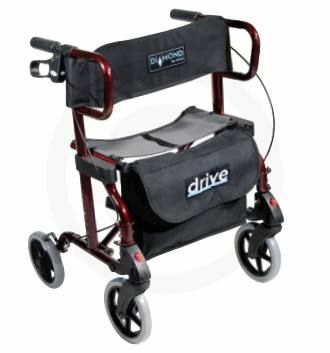 2 in 1 Rollator Wheelchair With Removable Carry Pouch. Features? How are these for features? 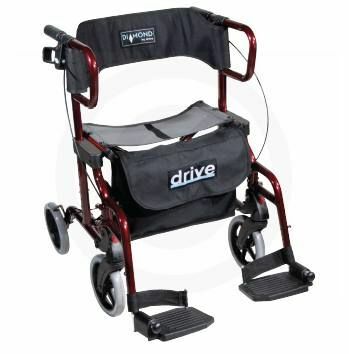 Durable mesh backrest and seat, easily adjustable handles, soft comfortable grips, adjustable swing away footrest. You want more? 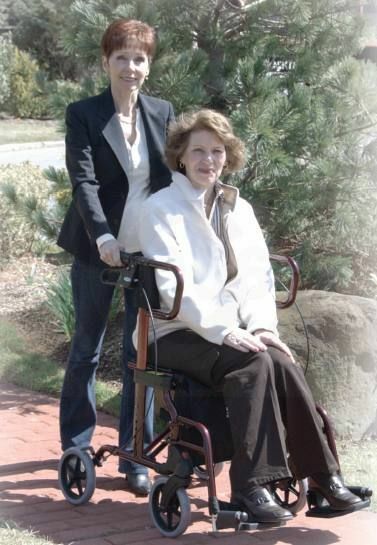 Okay, how about removable front and rear 8" caster wheels, a dual-cross brace and easy grasp brakes? You still want more? Why not - a removable carry pouch with a strap to take wherever you go! Weight Limit 136kg (300 lbs). Fold for storage or travel. I could not walk as quickly without it and use it to do my shopping. We have taken it to Canada several times . Have taken on many car trips and fits in car easily. Gave it 4 not 5 stars because BA managed to bend it on the way to Canada -but it still works OK, maybe we should have taken the wheels off.